Although indoor allergens like dust mites, mold, pet dander and mildew can be problematic year-round, pollen is probably the major contributor to spring (outdoor) allergies. 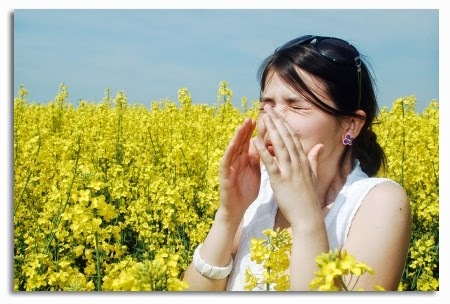 Tree and grass pollens can start causing problems as early as late February and last through the beginning of summer. While many seasonal allergy cases are considered to be fairly mild and mainly a big nuisance, some cases are severe with symptoms that can mimic the flu and persist for months. Untreated symptoms can often lead to secondary infections of the sinuses, ears, throat, nose and lungs, because the fluid that builds up in reaction to the allergy provides a breeding ground for bacteria. Seasonal allergies can also trigger asthma attacks due to the accumulation of pollen and fluid, which irritates the lungs.